could it be true? Tea Salad? Rumor has it Burna Superstar is coming to the Mission. Pretty far from the uHood (Valencia & 14th) but oh so much closer than the Richmond. Tea salad here we come! 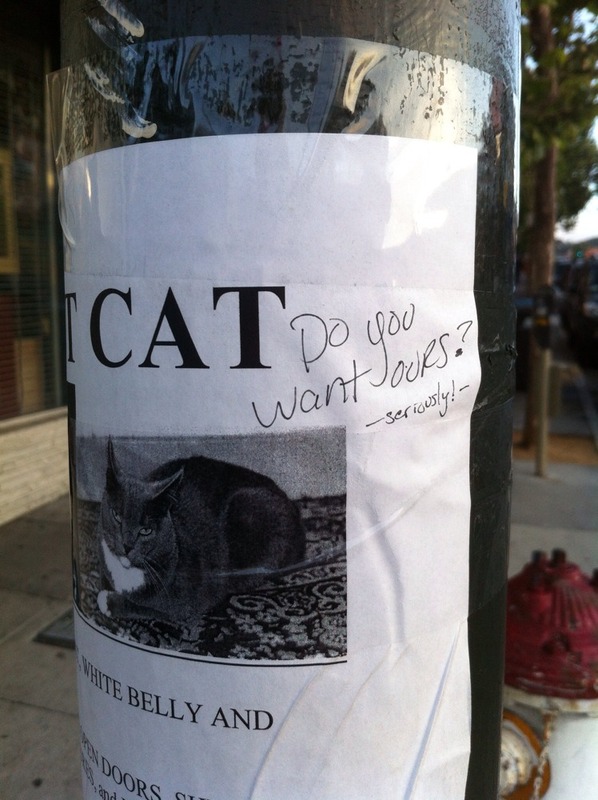 I know someone who’s often trying to give a cat away. Pie & Pig Opens. YUM. Uh oh Rosamunde, there's a new sausage joint in town. Pie & Pig opened Friday in the Discolandia building on 24th. Anyone up for a field trip? 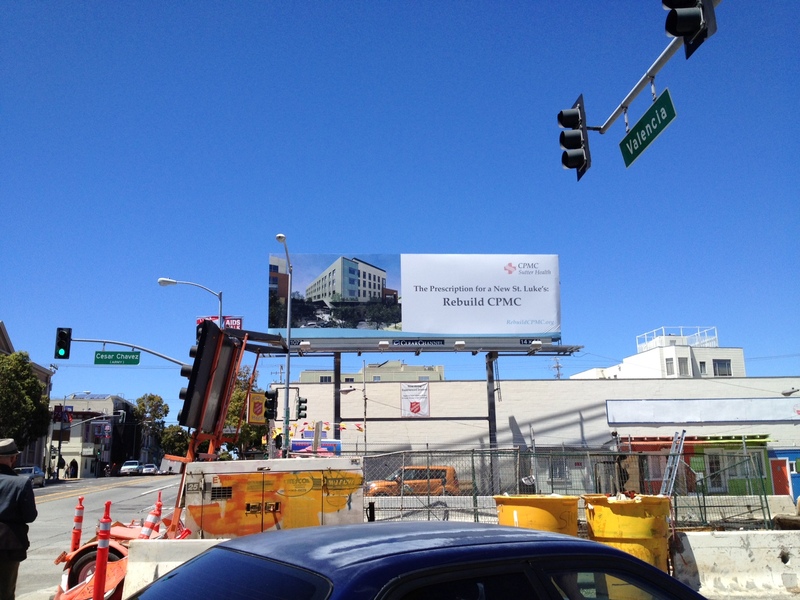 Ed Lee originally struck a deal with CMPC in March. As part of the deal, St. Luke's would be rebuilt according to state-mandated seismic safety guidelines and remain open for 20 years. Under this agreement, however, St. Luke's could close its doors if the system-wide operating margin drops below 1% for two years in a row. Now an anonymous whistle-blower has released documents indicating that CMPC may have been planning on taking advantage of this loophole to close St. Luke's, and also pay much less in charity care than originally envisioned. No word on what this means for construction. The state deadline to retrofit or rebuild hospitals for seismic safety is 2020 (not 2015), and CMPC was hoping to start construction this fall. Does anyone actually read the Examiner? And have you ever tried to cancel deliver? The Examiner probably claims some kind of amazing distribution figure when negotiating with advertisers but the truth is that 99% of the copies wind up in the trash unread. 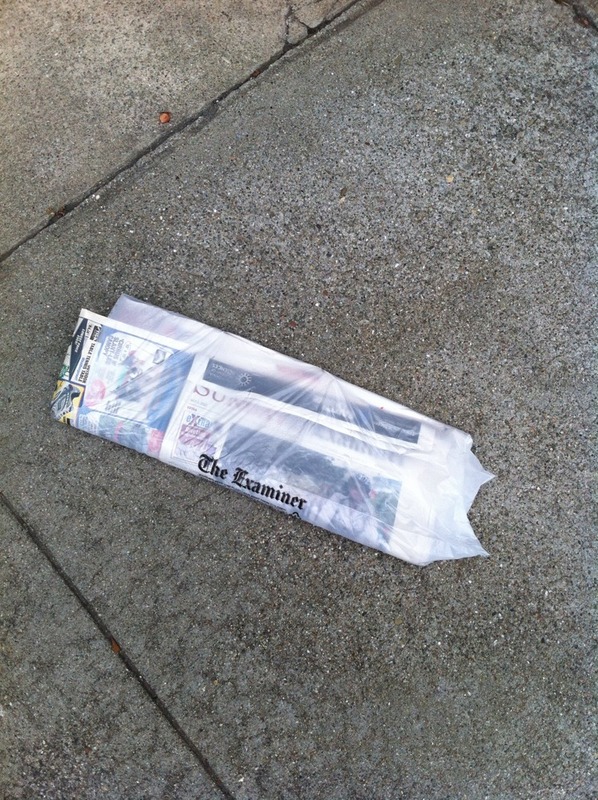 The Sunday Examiner is exactly that: trash. Good-bye to the bar formerly known as Toads?